When it comes to the perfect setting for a great summer, all roads lead to Maine, but only one leads to Camp Wekeela – the premier overnight summer camp for boys and girls age 6-16 located on Little Bear Pond in Hartford, Maine. 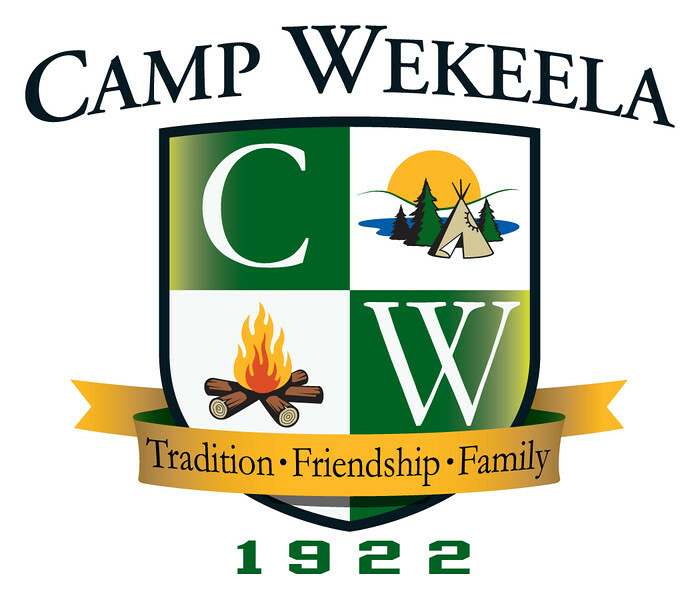 Camp Wekeela is an inclusive, caring, and warm community of campers and staff. Our goal at Camp Wekeela is to provide a fun, exciting summer camp experience that helps your child discover new talents and interests, builds self-esteem and confidence and gives them the opportunity to establish lifelong friendships. What makes Wekeela special are the strong, loyal bonds we create. Our campers become like family. Long after camp ends for the summer, we remain in touch. Year after year, the vast majority of Wekeela campers return to renew the close friendships they have made and many of them return as counselors. At Wekeela, we’ve developed leading-edge activity programming that includes creative and performing arts, water-sports, athletics and out-of-camp excursions. Programs are tailored to meet your child’s needs and we encourage our campers to make choices, take risks and accept new challenges. As a former camper, now counselor I can attest that Wekeela was one of the best decisions I have ever made. I am currently a freshman in college and I happen to go to school with one of my best friends from camp. One of the things we constantly appreciate is how much camp has prepared us for college life. I felt more prepared to leave my home, family, and friends to start a new adventure. Camp has truly helped with that aspect. As well I remember counting down the days starting in April for when I could get away from my hometown and the social media and get to camp. Taking a break from all the social media pressure was honestly such a relief. Another factor that is wonderful as a teen is the staff. As a teen the counselors become older brothers and sisters to you. They are always there for you and are the best support system I could ever ask for. I'm excited to go back next summer! Unbelievably well-said about taking a break from electronics! Thank you! Camp Wekeela is truly a marvel in the experience you find there. From the friendships you make to the lessons you learn, there’s truly nothing like it. The most amazing about the camp is the comfort of the community: everyone there can connect and befriend someone else, and your age group as a whole will bond in a way that is nothing like any other friend group at home. This place has a real sense to it; despite being a summer camp, unnattached to everything else in your life, it truly feels more real than anywhere else. A friend of mine in the camp once told me about how wekeela “feels like a fantasy”, and that’s because the nurturing environment is so detached from the burdens of everyday life that it is like finally breathing for the first time in a long time. The only issue I find with camp is once you leave, it’s pretty hard to adjust back to school life. I recommend anyone to attend if they are able to, as it is a life changing experience that will stick with you for a long time and change you for the best. What a beautifully worded review! Thank you! I have been going to Camp Wekeela since I was 8 years old. I started as a Freshman (the youngest age group on camp) and am currently a 17 year old counselor. This past summer I worked with the Freshman girls and my experience was unforgettable. After having an incredible time being a camper for 9 years, I was excited, yet scared, to go into a completely different role at camp. However, I am so glad I did. I did not anticipate the strong bond that would form between me and the girls. I was surprised by the sense of pride I felt talking to parents on Visiting Day as I found myself speaking of their girls as if they were my own kids. I certainly did not foresee how heartbroken I would be saying goodbye at the end of the summer. Surprisingly, these girls that I cared for for 7 weeks had equally as much of an impact on me as I had on them. As a camper, one is almost oblivious to how much a counselor affects you. But, it is safe to say that I would not be who I am today without the help and support of my counselors. I knew going in to this summer that I wanted to be a role model, a big sister, but most importantly, anything like my counselors were to me. This is what I think is so special about this camp in particular; a very large percentage of our counselors are former campers. This gives us a sense of awareness on how we should act and who we want to be to our campers. In addition, the majority of my camper friends also came back as counselors, therefore we still share those strong bonds that we have produced over the years. I can not wait to go back next summer, see my girls, and spend time with my closest childhood friends. Camp Wekeela truly is the best place on Earth. Thank you for such a wonderful review, experiences like yours are what we try to give to our child! I first started going to Camp Wekeela when I was 8 years old and I have loved it ever since. So much that this upcoming summer will be my 10th summer and 2nd as a counselor! Camp has such a special place in my heart as it has allowed me to make friends for life with people all across the world. The people and friendships I have made as a camper have truly shaped me into the person that I am today and will forever be grateful for my summers at Wekeela. Thank you for such a wonderful review! We are so happy that you are part of our family! Our son went here for the first time this past summer (2018). He loved the camp, the staff and the counselors. We dropped him off and had a chance to look at the camp while there. It truly is a beautiful place. Bunks were in good repair as well as the grounds and other buildings. Your kids will be well taken care of when here. It’s a great family environment for your kids to learn and grow. I have 3 boys who absolutely love their summers in Maine at Camp Wekeela. My oldest just spent his first summer as a counselor after 8 amazing summers as a camper. Ephram and Lori have provided an incredible environment where they have all grown beyond measure. The Caflun's create a family atmosphere in which both campers and counselors refer to Camp Wekeela as their HOME away from home. My kids have loved the staff, the activities (color war is highlight) and the friendships they continue to foster off season. They can't wait for summer 2019! Want More Information about Camp Wekeela? Your request will be sent directly to Camp Wekeela. By submitting this form I confirm that I am at least 13 years of age and give my consent to be contacted by Camp Wekeela by email as well as by phone and/or mail (if provided).